MEMBER ADMINISTRATION WAS NEVER AS EASY! Are you the owner of a sauna, squash centre or swimming pool and feel like you are losing valuable time doing administration? Do you feel as if memberships and contract management cost your team a lot of time? If this sounds familiar, it is time to choose Control Plus: powerful software that is easy to use. Our software is among others very suited for gyms, personal trainers, physical therapists and dancing schools, as well as martial arts, cross fit specialists and centres for yoga and Pilates. Our software simplifies your administration and offers an online system that your customers and visitors can easily use themselves. They can register online or make a reservation online, while you can easily put together e-mail newsletters and take care of retention or sales follow-up. Control Plus offers modules for an online agenda, management information, a register and handy billing; you can count on a complete administrative package that will save you a lot of time and trouble. Now, you can focus on your core business again. Our software packages are fully available online, which means you can access it anytime and anywhere. All you need is a PC and a working Internet connection to access the membership management, send invoices or write an e-mail newsletter. The online platform is suited for every PC and Mac, enabling you to use various types of devices. You will access Control Plus from a cloud, to use these modern techniques optimally. You can choose from three different packages, meaning Control Plus is available from 39 euros a month. We are more than happy to help you make a decision between these packages, feel free to contact us for more information. Would you like to use powerful online administrative software, enabling you to easily automate your membership management? You profit from convenient memberships and automatic payments, as well as an online agenda and billing module. Thanks to the elaborate management information, using our Basic package will offer you useful software that can save you a lot of time and effort. Our Premium package is our most opted-for option, allowing you to make use of all possibilities Control Plus has to offer. Consider membership management, membership contracts, as well as automatic payments, online reservation, enrolment and possibilities for retention and sales leads. You can easily generate e-mail newsletters and use the agenda, billing module, management information and the cash register. Are you looking for powerful online administrative software and a convenient cash register to integrate your catering exploitation? 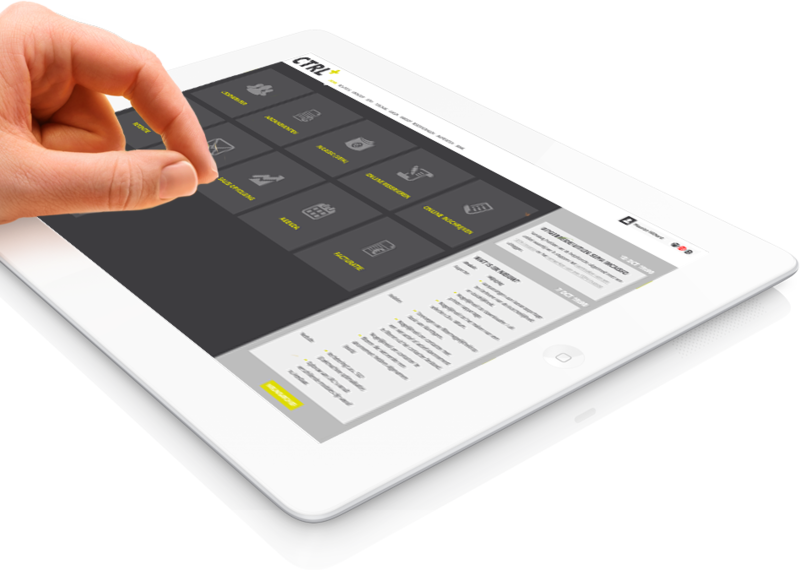 Control Plus is an advances package, including modules for membership management, a agenda and billing module. The Extra package therefore makes for an excellent deal if you also manage a catering exploitation. Control Plus consists of a number of diverse features that simplify your administration and add professional capabilities. You can count on member management, subscriptions, debit and online reservations. In addition, customers can subscribe online and ensure the retention or sales succession. Additionally, you can create email newsletters and use a calendar, billing module, cash register and comprehensive management information. Would you enroll new members? You have a powerful online with our software package for the membership records of your fitness hands. Offers several subscriptions? The software from Control Plus allows you to easily manage your subscriptions, course online with a large degree of flexibility. You create with Control Plus simply use an online waterproof automatic payment module where you not worry himself to. Control Plus makes it easy to create and manage online reservations. Your staff at the reception desk has a complete overview of all activities and locations. Customers can register easily online through the software Control Plus subscriptions, or specific lessons and sessions. Visitors can a subscription and register via the website. Contact with customers is essential to keep them involved. You can e-mail newsletters use to bring them up to date on new activities, new employees or new products. Do you want a clear overview of your schedule so you know exactly what you appointments and meetings for the coming week stand? You can use Control Plus a handy calendar module, so you never lose track. Cost billing you more time and look for an opportunity to make this easier? Control Plus provides a convenient billing module, which ensures that you can again focus on your core business. Control Plus provides online insight and overview in the management information you need to run your club or business effectively. For example you can count on a survey of the membership, subscriptions, memberships, sales, operations, accounting and demographics. Are you looking for a POS system for your bar, restaurant, shop or reception? Control Plus provides an effective kasregistratie module, which allows you to sell unlimited products in unlimited product. You get warnings about the stock and all transactions will arrive in a daily final state. Control Plus has already convinced a large number of clients, and we would like to share some of these cases with you. These organizations are fully satisfied using our easy-to-use online administration software, enabling them to focus completely on their specific core business. It is clear to me! Is it clear to you that Control Plus can offer you major advantages? Do you wish to keep an online record of your administration from now on and use professional features you can easily manage? You can request your demo online, and we will make sure you can start as soon as possible.